Meeting with Hon'ble Minister PWD Shri Vijender Singla Ji. 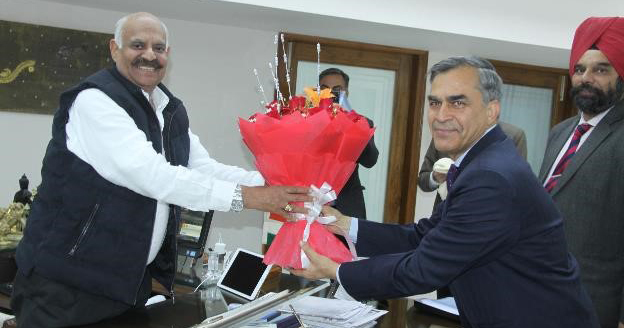 Dr. Harsh Kumar Bhanwala, Chairman, NABARD was on State visit to Punjab from 8 to 10 January 2019. During his visit, he called on Hon’ble Chief Minister of Punjab Capt. Amarinder Singh. 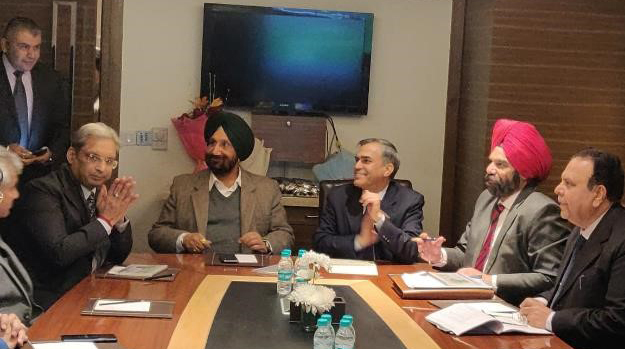 The meeting was also attended by Shri Karan Avtar Singh, IAS, Chief Secretary; Shri Anirudh Tiwari, IAS, Principal Secretary (Finance) and Shri Tejveer Singh, IAS, Principal Secretary to Hon’ble Chief Minister, besides Shri J P S Bindra, Chief General Manager, NABARD. The Chairman apprised the Hon’ble Chief Minister of the support provided by NABARD in the State and also briefed him about various developmental initiatives like Crop Residue Management Campaign and FPO Promotion Campaign during the year. The Chairman informed the Chief Minister about taking up projects under Watershed Development Fund for the kandi area as this will help in enhancement of farmers’ income in that area. He also highlighted the need to provide fund for small business to small and marginal farmers. 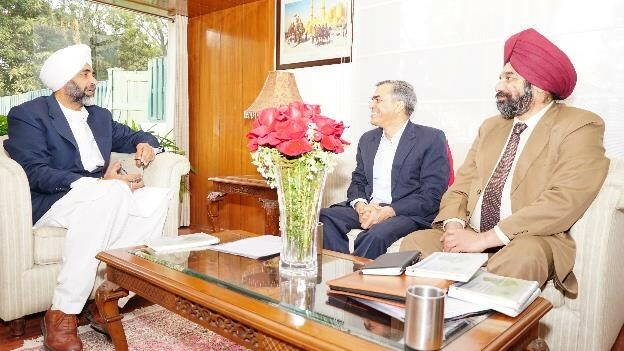 He applauded the State Government initiative of merger of DCCBs with StCB and suggested that the State may also consider mergering of STCCS and LTCCS in Punjab in the next phase, which was well taken by the Chief Minister. 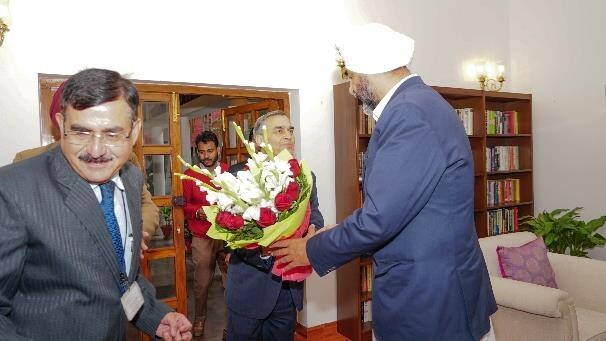 The Chairman had a meeting with Hon’ble Finance Minister Shri Manpreet Singh Badal and had discussions on possible support under various infrastructure schemes. He also apprised the Minister of opportunity of utilization of Micro Irrigation Fund. 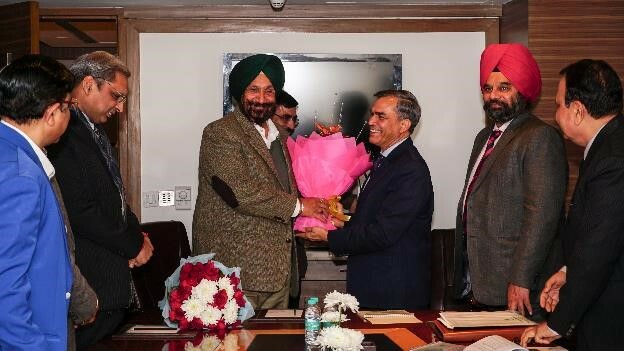 The Chairman had a meeting with the Hon’ble Minister of Cooperation Shri Sukhjinder Singh Randhawa and Shri Balbir Singh Sidhu, Hon’ble Minister Animal Husbandry, Fisheries, Dairy Development and Labour alongwith MDs of PStCB, PSCADB, MILKFED, MARKFED, Dairy Development, etc. and had discussions on impact of DCCBs amalgamation with the Apex Bank and the support requirement in terms of financial and non-financial areas. Discussions were also held as regards to probable areas of intervention under dairy and crop management. 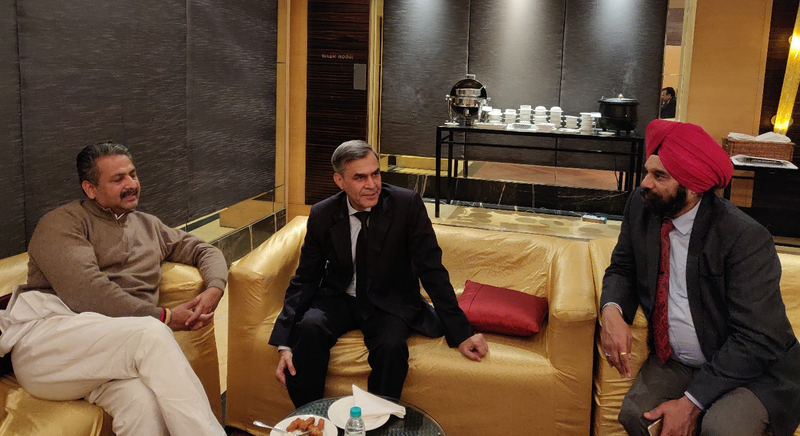 The Chairman had detailed discussions with the Chief Secretary and his team on financial matters pertaining to the State Government as also new areas for NABARD intervention in the State. Shri Vijender Singh Singla, Hon’ble Minister, PWD also met the Chairman during his visit. During Chairman visit, he had interaction with select DDMs of Punjab and Haryana on various issues pertaining to DDMs function areas and effectiveness of the DDM in the district.